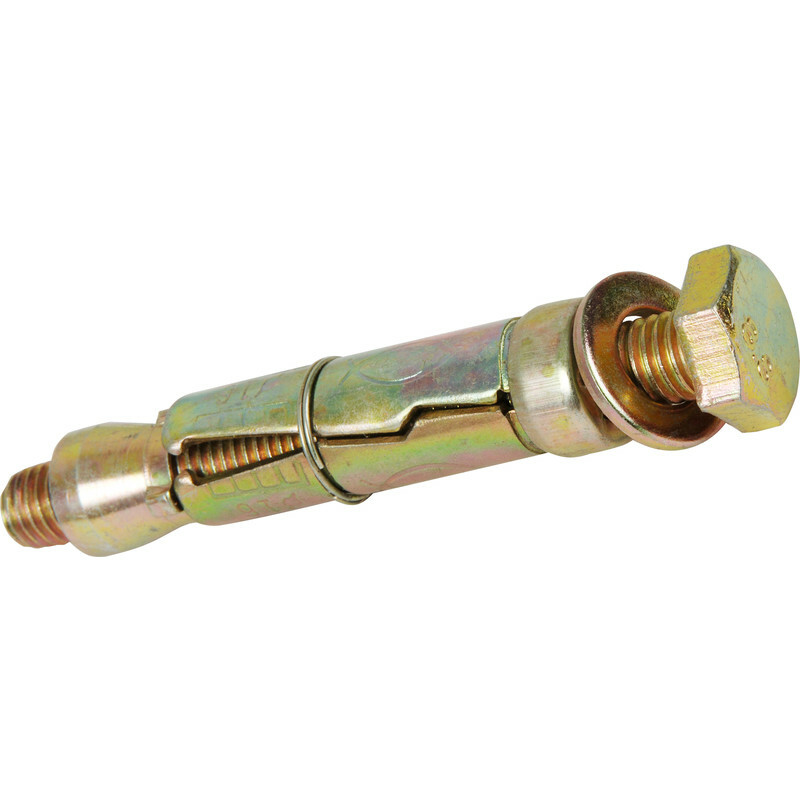 Traditional zinc-plated steel, loose-bolt wall bolt with hexagonal head screw. Suitable for non-cracked concrete, stone and good quality masonry. Fischer Loose Wallbolt FWB 10 x 110mm (25 Pack) is rated 4.8 out of 5 by 12. Rated 4 out of 5 by Westindieman from Good fixings when correctly applied Correct drill bit is important and these work great in the main. I did have a couple where the bolt kep turning and didnt tighten but in the main worked. Rated 5 out of 5 by Tony2 from Wallbolt Fixed, did the job that I required it to do. Rated 5 out of 5 by High Wycombe Tony from RAWL BOLTS These are RAWL bolts. I used them to fix some lengths of 4x2 timber to a wall. It worked! not much else to say.